Pre-Paid Legal Services, Inc., a Multi-Level-Marketing company, touts that it has been selling discounted legal insurance plans for over 25 years and that its Provider Law Firm network is comprised of tens of thousands of lawyers across North America. In the United States and Canada, alone, PPL has at least one million paying members. Now scores of sales agents (“associates”) have taken to selling the company’s services over the Internet as well as through personal connections. Perhaps you’re one of the many unlucky ones bombarded by email blasts from their agents. Pre-Paid Legal Services, Inc., on the other hand, appears to be a classic pyramid sales scheme. Class action lawsuits are now pending from shareholders for deceptive reporting to the Securities and Exchange Commission and from sales associates for false and misleading claims about income potential. The company recently paid a fine to the state of Wisconsin for making false income claims. If you’re wondering how it works, Robert L. FitzPatrick, President of Pyramid Scheme Alert, was kind enough to lay it out for us. 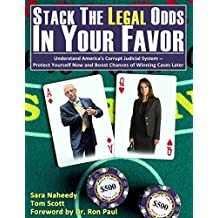 “More than 50% of Pre-Paid Legal’s customers and sales representatives quit each year.” FitzPatrick went on to descibe the company, thus: “The pay plan is based upon continuous recruitment and is structured so that the top levels gain the majority of revenue. PPL has no sustainable customer base or sales organization. It is strictly a recruitment scheme. According to PPL’s 2000 Annual report, the company had paid out $139,891,000 in sales commissions over the past five-year period. The total number of people who have been PPL sales reps during this time is 472,189. That averages out to $296.26 per sales rep, per year, or $5.70 per week before taxes, training and other expenses are deducted. When training costs are deducted, the gross income average falls to $2.10 per week. In reality, the actual figure is far worse, since this “mean” average includes the huge incomes of the small number at the top. The majority of the sales reps never earn a penny of true profit. As the customers and sales reps quit, those who have made some money by recruiting are charged back the loss of projected revenue.